Pain isn’t fun. Your Lafayette, CO dentist knows this, and that is why the dental team at Gordon West DDS, Cosmetic & General Dentistry have made patient comfort a top priority. In conjunction with creating a relaxing environment, your dentist has various medications that can reduce and even eliminate pain associated with different cosmetic dentistry procedures to give you a more enjoyable experience. Some of the most common pain-relieving medications used in Lafayette, CO dentist offices and around the country are topical anesthetics. These are swabbed directly onto mouth tissue so they only numb the very surface layers. Topical anesthetics can reduce the pain of mouth sores, or they can be applied to prepare the mouth for an injection. Local anesthetics are injected into mouth tissue (usually the gums) to block the nerve sensations to specific areas of the mouth. Lafayette, CO area dentists numb the mouth in this way before filling cavities, treating gum disease, or before certain cosmetic dentistry procedures. More involved dental procedures may necessitate the need for nitrous oxide or even general anesthesia. 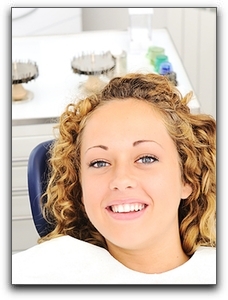 Ask us about sedation dentistry and oral conscious sedation. It is very common for your dentist to recommend an over the counter analgesic to relieve pain after a dental visit. These medications include aspirin, ibuprofen, and acetaminophen. Because your Lafayette, CO cosmetic and sedation dentist will most likely use a pain reliever during the dental visit or prescribe something for you to take after the treatment, make sure you jot down a complete list of medications you are taking, including herbal supplements, before each appointment. I’m Dr. Gordon West and I want Lafayette, CO residents to be informed about their dental care, especially as it pertains to pain relief during dental treatment. If you are in the Lafayette area and are looking for quality dental care, please contact my office today at 720-862-3630. Our state-of-the-art dental care in a comfortable environment staff would be happy to talk to you about porcelain veneers, dental implants, dental crowns, and the other services we offer.